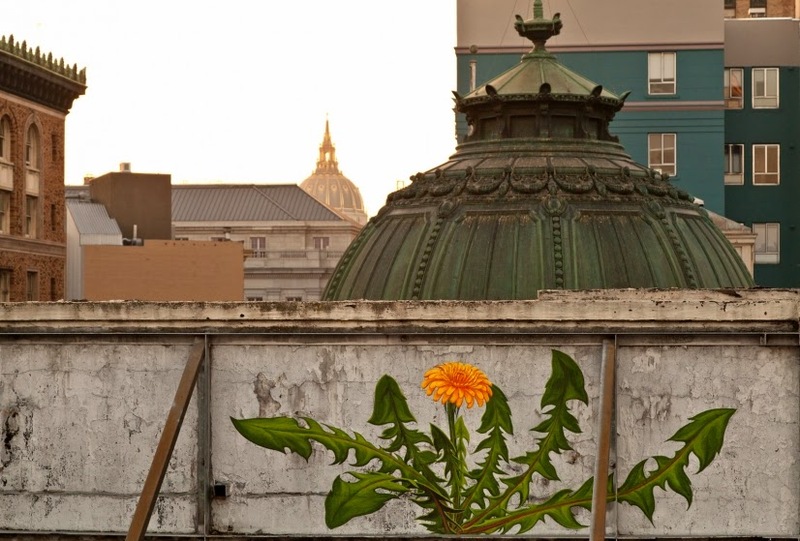 "Dandelion" by Mona Caron is a mural painted in San Francisco. The artist took progress pictures of her art piece and then made the pictures into a beautiful gif. "They may be tiny but they break through concrete. They are everywhere and yet unseen. And the more they get stepped on, the stronger they grow back. This is a series of paintings of urban weeds, some of them on-site animations, created as a tribute to the resilience of all those beings who no one made room for, were not part of the plan, and yet keep coming back, pushing through and rising up. I look for weeds in the city streets near a wall I'm about to paint. When I find a particularly heroic one growing through the pavement, I paint it big, at a scale inversely proportional to the attention and regard it gets." You can view more of her works via her website.